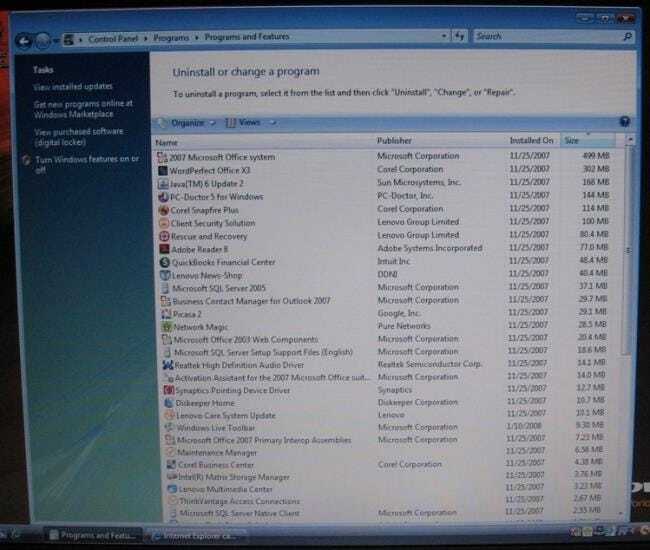 These programs are generally trial versions that urge you to purchase paid software, links to places where you can purchase software, or browser toolbars that encourage you to use bad search engines. Software companies pay the manufacturers so inexperienced users will end up purchasing complete versions of the trial software, paying for bad casual games, and using less-useful search engines. 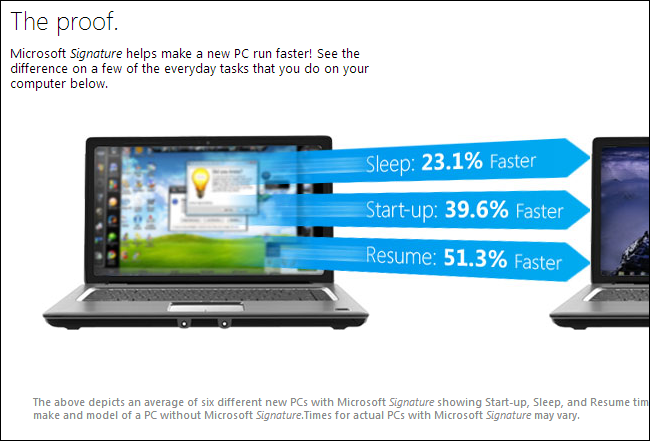 Microsoft advertises their signature PCs by pointing out how much faster a signature PC is than a non-signature PC — these statistics really tell us how much faster a new laptop is once all the bloatware is removed. They’ve now removed the statistics from their latest Signature PC page — maybe they were a bit embarrassing to Microsoft’s hardware partners — but we can view them with archive.org.